With an ever-changing grocery industry, brands and retailers alike are fighting harder to win over shoppers. So, it is with particular pride to take part in industry events and share how Basket is leading the change — with real-time insights and transparency on pricing, powered by the largest community of grocery shoppers in the world. Dante DeVito, Basket’s director of strategic partnerships, shares this message with passion. 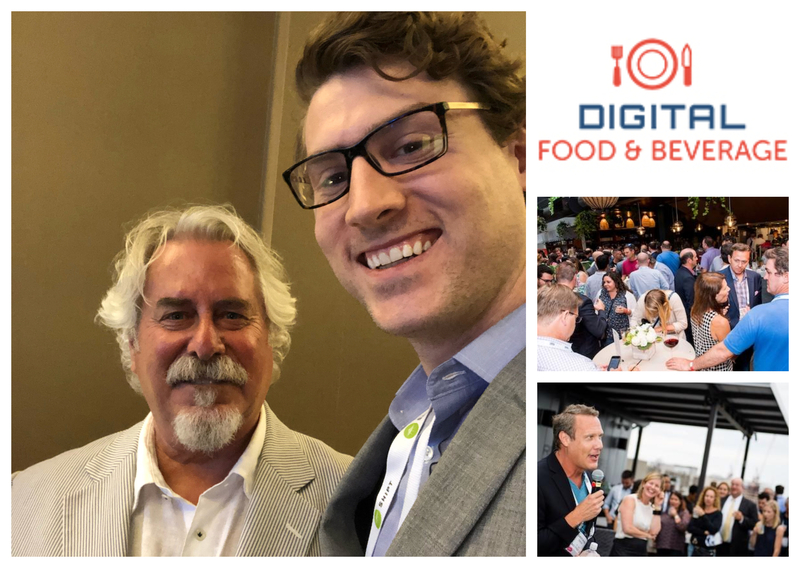 He was recently in Chicago for the 2018 Digital Food & Beverage Conference, where retailers and brands debated trends in the grocery industry, exchanged best practices, and learned how to leverage e-commerce opportunities in an increasingly digital marketplace. The event included such ‘movers and shakers’ in the food and beverage industry as Kroger, Coca-Cola, Kellogg’s, Target, Hello Fresh, GrubHub, General Mills, Walmart.com, Jet.com, and Boxed.com. While focused on e-commerce and strategies manufacturers and retailers can embrace to help drive conversion, topics spanned from meal kits and home chefs, to virtual reality farm tours and experimenting with alternative digital advertising channels outside of Google, Facebook, and Instagram. But one panel — on how CPGs and retailers are sharing more data and why that is good for everyone — particularly stood out. It stood out because it’s a core concept of Basket. Panelists included Andrew Freeman, Global Director, eCommerce Capability, Kellogg Company; John Carroll, Vice President – General Manager eCommerce of The Coca Cola Company; and Steve Wharton, Director of Sales, FuelX. Freeman and Carroll mentioned that their companies both continue to struggle to obtain data from many retailers, especially around out-of-stock items. And ongoing discussions centered on the evidence supporting a next gen data dashboard and the impetus and obstacles to aggregate as much global data as possible from partners. The take-away is that data sharing is gaining steam in the industry, and efforts like Basket’s are yielding priceless insights when it comes to getting ahead of trends and connecting with the customer. Basket has the ability to capture real-time prices of specific brands, and competitors, nationwide, with the breakthrough Basket Insights platform. This is a just-launched platform that shows new sales prices at retail chains across the country and online marketplaces, and has the ability to filter by different locations to see a specific product and competitors in a targeted area.